M38 Reference Guide. 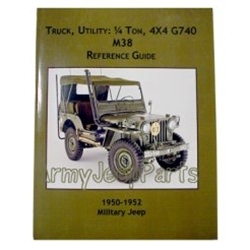 This is a must have reference guide for all years of M38 jeeps. Ryan Miller is the arthur and he worked over 5 years to put this book together. Tons of never before published photos and documents. Over 200 pages.